Pressure washer attachment. efficiently cleans large areas. Adjustable cleaning pressure. Suitable for K2-K7. Two rotating flat jet nozzles. Splash Guard. Hovercraft effect. 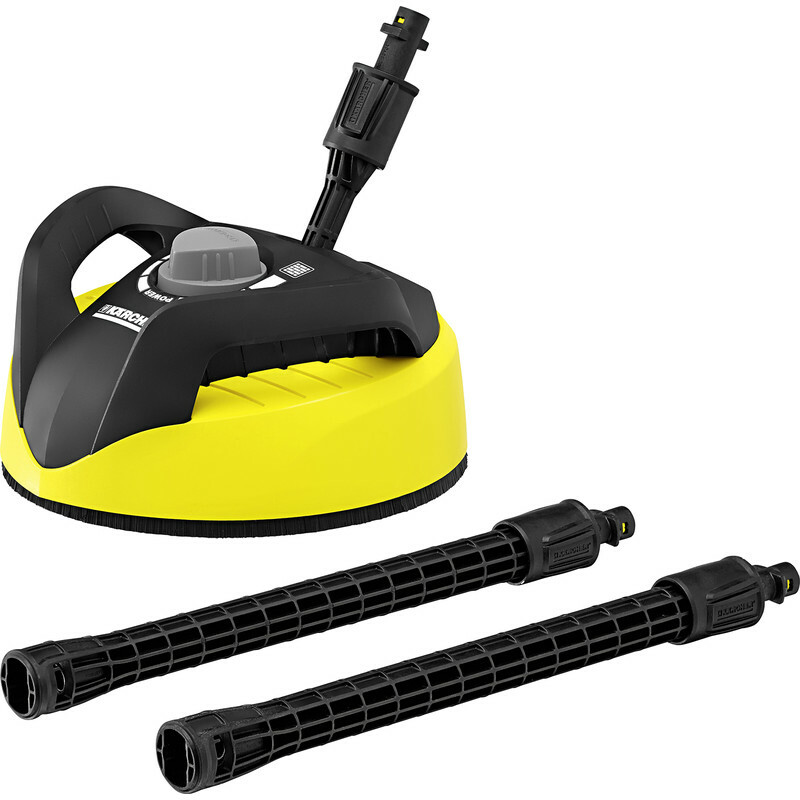 Two rotating flat jet nozzles - Good area performance – ideal for cleaning large areas. Splash guard - Splash-free cleaning. 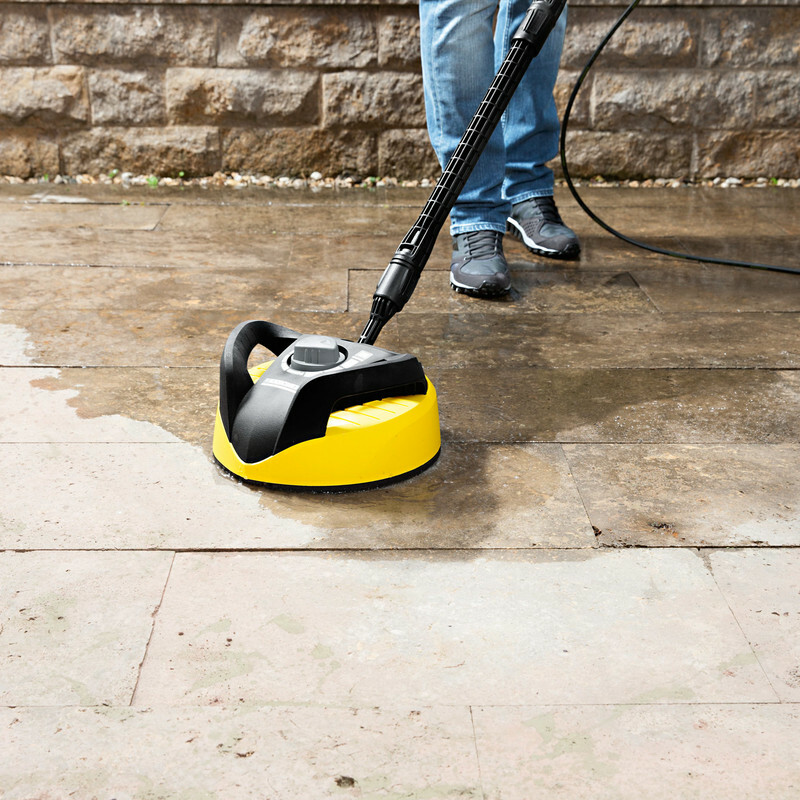 Pressure adjustment - Cleaning of sensitive and non-sensitive surfaces such as wood and stone. 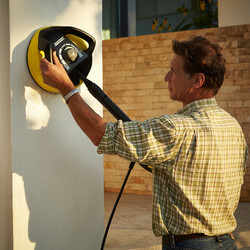 Handle - Easy cleaning of vertical surfaces. 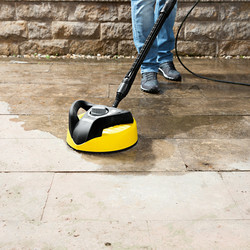 Hovercraft effect - The surface cleaner hovers over the floor and guarantees easy cleaning.